Looking for an exercise this summer that's both fun and will keep your kids cool? Look no further than your neighborhood pool. Once they've mastered doggy paddle in the shallow end, you can help them learn the four main strokes in swimming. These tips come from USA Swimming National Team Director Frank Busch, who's US swimming team took home 31 medals in the 2012 London Olympics. For each stroke, Busch says the most essential element to learn is the kick. Once you understand the kick, you can move forward with the arms, breathing and form. "It's easiest to teach and most important to accomplish: Learn the kick of the stroke," Busch says. 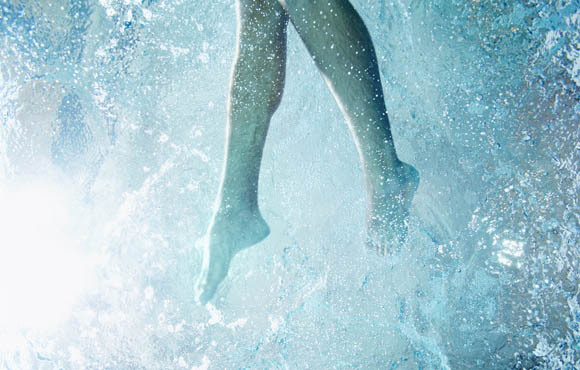 "Then, begin that kick underwater so [you] get a feel on all sides of the feet and get a feel for what the drag factor is like." Once they have the kick down, it's time to master some of the trickier elements of each stroke. The terms "freestyle" and "front crawl" are often used interchangeably. 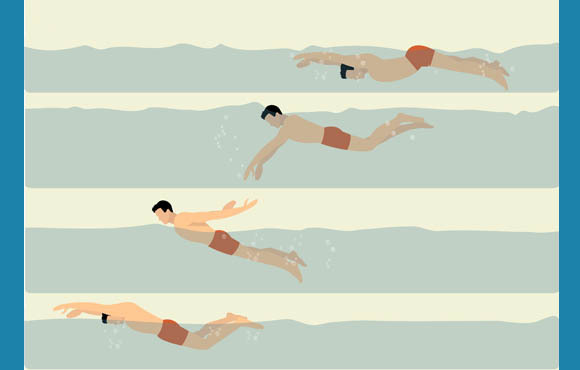 Freestyle technically means swimmers can choose any stroke, yet swimmers nearly always choose front crawl. 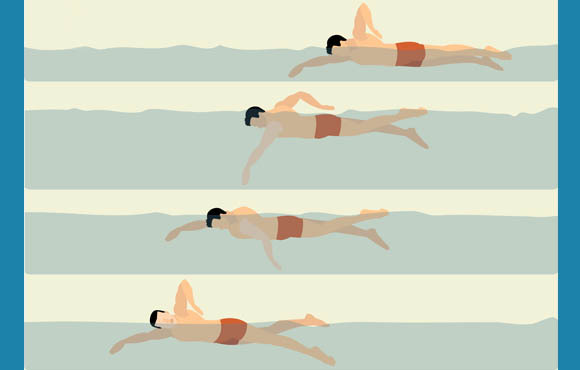 For this stroke, swimmers stretch their arms far in front of them (like a windmill) and kick their legs back and forth straight behind them, while rocking back and forth as they breathe to the side. For freestyle, Busch says young swimmers often struggle with understanding the breath. "At first, it's going to be hard to take a breath," Busch says. "I think snorkels are tremendous with all the strokes, but freestyle particularly because it takes that complicated move out of what you're trying to do when you're moving forward. Use that extensively, and once you've become comfortable with the blow out and take in [of air], try to do that in a way that doesn't disturb the line of the stroke." Breaststroke is identified by its frog-like kick and quick breath between strokes. Many young swimmers must overcome the tendency to waver from swimming straight forward in a line. "If you can establish a line you're comfortable with, you'll be able to accomplish pretty much anything," Busch says. Deviating from a straight line not only slows swimmers down, but risks disqualification if they leave their lane. Busch says your basic foundation element—the kick—will keep you focused on that straight line. "When it comes to breaststroke, keep a line with the kick," Busch says. "If the kick is good, they don't have to worry so much about their pull. Their pull can be very narrow, very small, but they can keep their line with their kick." 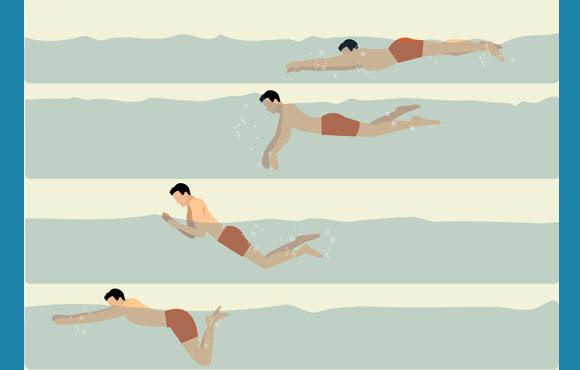 Backstroke is similar to freestyle in that swimmers pull with their arms and propel themselves forward with their legs—but of course, backstroke is on your back. While you may think this makes backstroke the easiest because the breathing aspect is simpler, don't be fooled. Busch says young swimmers most often struggle with just being comfortable in the position. If a swimmer isn't comfortable, the stroke will suffer. Before worrying about pulling with the arms, Busch said, simply focus on your back float. "Being comfortable on your back is hard for some kids," Busch says. "Once they can establish comfort and they have a kick, [young swimmers] can pull a little bit wider than people think." Anyone who has seen Michael Phelps swim his gold medal-winning butterfly knows this stroke takes tremendous strength and stamina. Before young swimmers build up their muscles, though, keeping the beat of the stroke is key. "Butterfly is such a rhythm stroke," Busch says. "You're taught when you're very young that it's two kicks to every stroke, and that's to keep the rhythm of the stroke going." 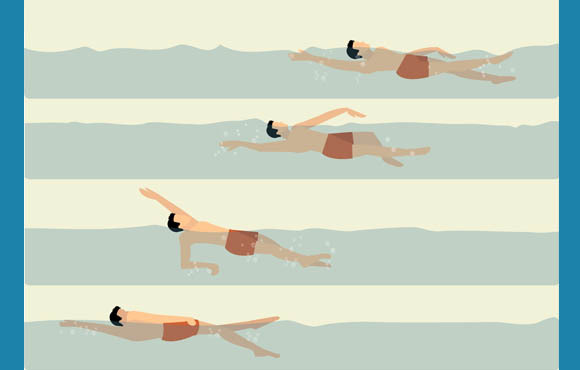 Even if the stroke isn't perfect young swimmers can still learn the rhythm as they practice. "[Butterfly] really requires just being able to get a rhythm that the individual can first feel comfortable with," Busch says. 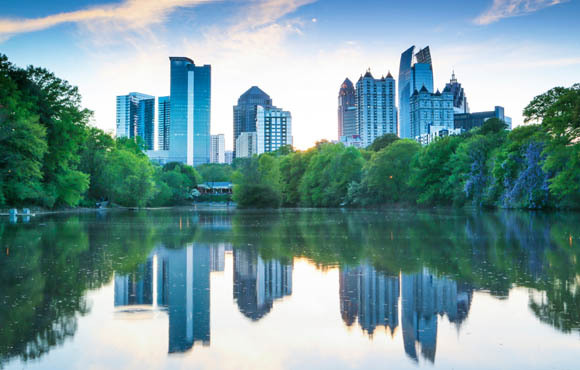 "It may not be right at first, but that's OK."
Jen Retter is a writer and marketing professional who has been published nationally in print and online. She loves staying active by running, attending hot yoga classes and hiking. Her first big run was the Disney Princess Half Marathon, though it won't be her last! She also blogs at 500daysofengagement.net.